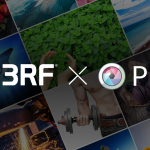 This week, we’re retiring our Mac- and PC-based photo editing app — otherwise known as Pixlr for Desktop. Our portfolio of apps has grown over the years and has become complex, so we’re making some changes to simplify the apps we offer while continuing to provide access to free, high-quality photo editing services on mobile and web. As of today, we are removing the Pixlr Pro subscription from the Mac App Store and Windows App Store and will no longer renew existing subscriptions. If you have a Pixlr Pro subscription, it will continue until your subscription runs out. We will offer support for Pixlr Pro subscribers, but we won’t be supporting the free installed version of Pixlr for Mac/PC going forward. Power users of our very popular Pixlr Express app will recognize that many of the same editing options found in Pixlr Desktop also exist in the web version of Pixlr Express, so we encourage desktop users to check out the web version of Pixlr Express. For true layers-based image and graphic design, please check out our Pixlr Editor web app. Our popular iOS and Android apps will continue to be offered as they always have. Questions? We’ve created a FAQ on our support site for anyone who may have questions about the sunset of Pixlr Desktop.